Akihiko Kondo’s mother refused an invitation to her only son’s wedding in Tokyo this month, but perhaps that isn’t such a surprise: he was marrying a hologram. For the 35-year-old soft-spoken’s mother, it wasn’t something to celebrate as her son married a virtual reality singer named Hatsune Miku. 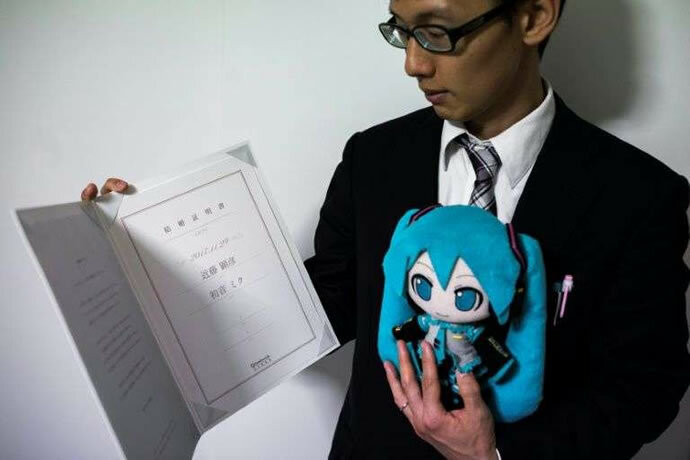 None of Kondo’s relatives attended his wedding to Miku — an animated 16-year-old with saucer eyes and lengthy aquamarine pigtails — but that didn’t stop him from spending two million yen ($17,600) on a formal ceremony at a Tokyo hall. 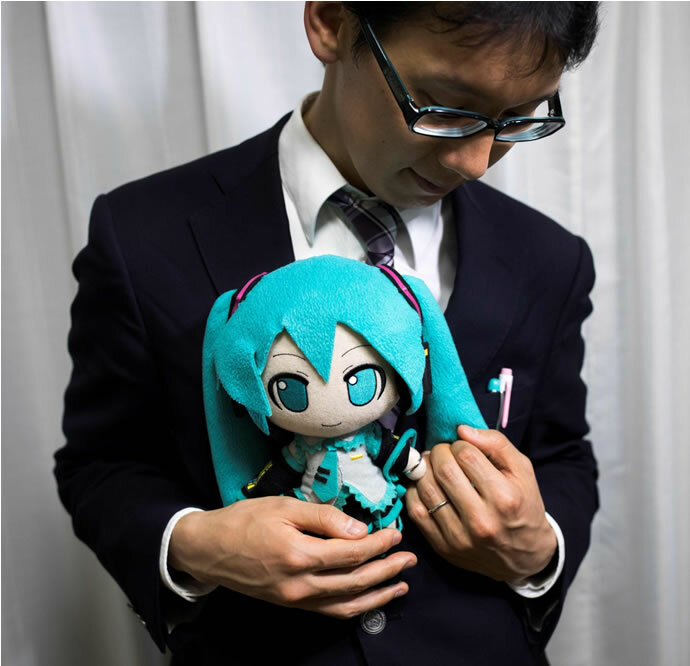 Around 40 guests watched as he tied the knot with Miku, present in the form of a cat-sized stuffed doll. 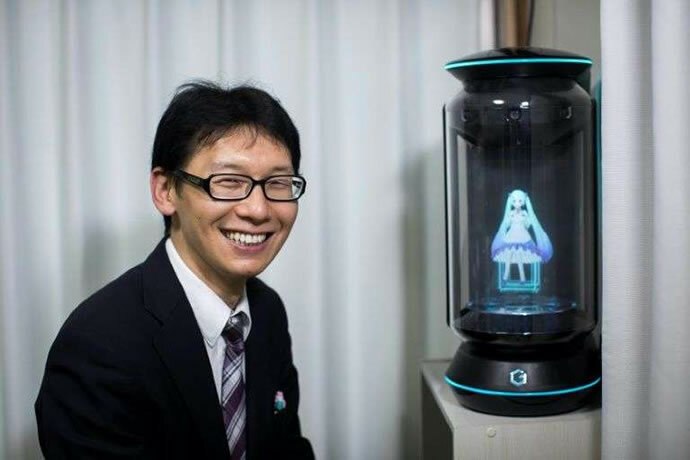 Akihiko Kondo considers himself an ordinary married man — his holographic wife Miku wakes him up each morning and sends him off to his job as an administrator at a school. 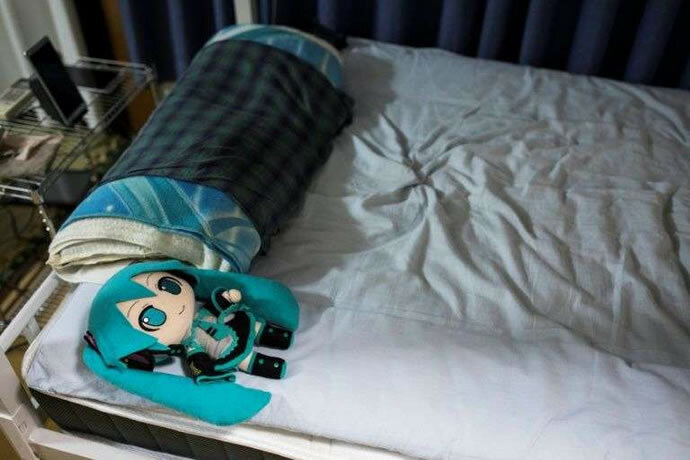 Kondo’s marriage to Miku may not have any legal standing, but that doesn’t bother him. In the evening, when he tells her by cellphone that he’s coming home, she turns on the lights. Later, she tells him when it’s time to go to bed. He sleeps alongside the doll version of her that attended the wedding, complete with a wedding ring that fits around her left wrist. 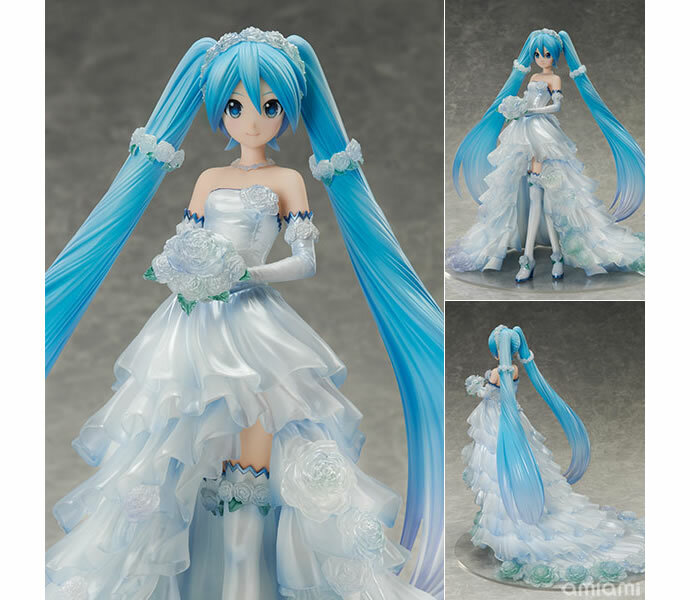 Gatebox, the company that produces the hologram device featuring Miku, has issued a “marriage certificate”, which certifies that a human and a virtual character have wed “beyond dimensions”. Gatebox has issued more than 3,700 certificates for “cross-dimension” marriages and some people have sent Kondo supportive messages.